The temptation to use the pun of going straight to your veins is too good to resist when referring to this album as BLOOD TEST possesses a penetrative quality seeking to seep deep into your inner senses. 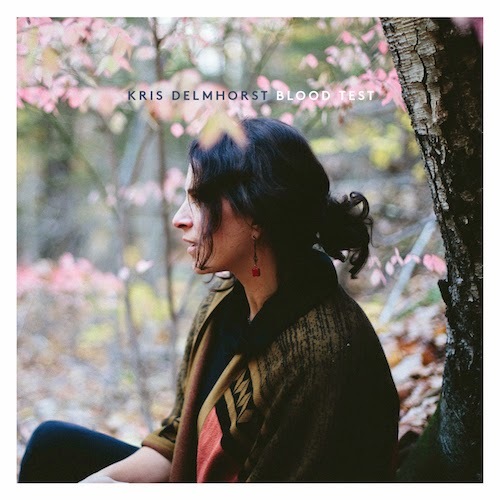 Kris Delmhorst had taken a six year break between albums of original material and if this is your introduction to the New York raised artist now living in Massachusetts, you’re in for a treat. Listening to this album re-enforces the view that Americana music is best heard rather than defined with its drooling melodies melting into the sumptuous sound and thoughtful lyrics. This is Kris’s seventh album and although she is new to me, her husband, the fine song writer Jeffrey Foucault, has crossed my path on numerous occasions. 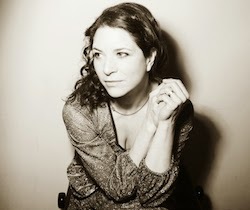 Kris herself seeks only self-inspiration for her songs rather than collaboration or interpretation as twelve solo-write originals fill a record lavished with soft pedal steel and shimmering soulful organ. For this project Kris has teamed up with Anders Parker and together they have assembled a tightknit four piece band to create a sound fluctuating between tender vibes and impassioned soft rock. The temptation to continually delve into this record emerges with the opening and title track ‘Blood Test’ and successfully retains your full attention throughout its 42 minute duration. The magnetic allure of this track’s infectious chorus makes it a top candidate for the album’s standout song but listen on and you’re subsequently spoiled for choice. Any song title referencing the Buckeye state makes me take note and ‘My Ohio’ is a beauteous effort demonstrating Kris’s capacity to pay tribute to a friend in the best way she knows. The delicate tones of ‘Homeless’ will ease you through any stressful day while on the subject of habitation, we get a nostalgic insight to Kris’s past on ‘92nd St.’ Based on her memories being reignited when returning to New York City to record the album, this emotional track moves freely between the soft undertones of her vocal style and the rousing impact Kris and Anders wanted from the band completed by multi-instrumentalist Mark Spencer and percussionist Konrad Meissner. Together they let it rip for a brief moment on the short number ‘Temporary Sun’ with a blast of rock impregnating the waves of passive elegance. ‘Saw It All’, ‘Bees’, ‘We Deliver’ and ‘Lighthouse’ are all adorned by some glimmering organ, a sound which works so well on a deep rooted record drawing on a multitude of musical styles and influences. Of the remaining tracks, ‘Little Frame’ has a lounge like feel with a hint of pedal steel and mellow piano, while ‘Bright Green World’ veers in a pop direction with a communicable beat. Light acoustic strumming heralds ‘Hushabye’, a stripped back number with a lullaby sentiment. BLOOD TEST will enrich your listening repertoire and is just the tonic when you require a touch of sensitivity with a little edge. By seeking out UK press it can only be assumed that a visit by Kris Delmhorst sometime in the future is being considered and these songs certainly have the depth to take on a whole new entity when played live.